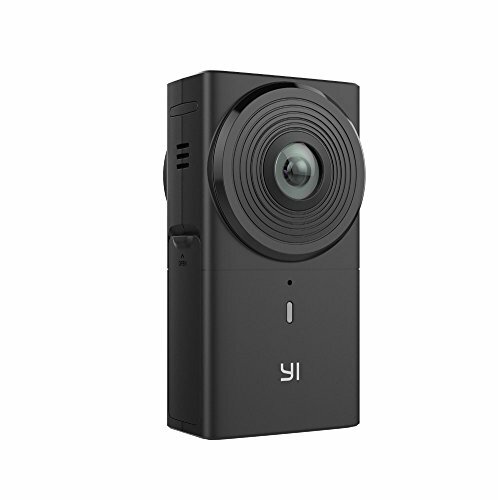 Yi 360 VR is an excellent 360 video camera. Until the Fusion was released, the Yi 360 VR had the highest video quality among consumer 360 cameras. Check out my review. The GoPro Fusion does have better image quality (especially dynamic range) but the Yi 360 VR was a much more affordable alternative at $399 (compared to the $699 of the Fusion). For Prime Day, the Yi 360 VR is even more affordable at just $279! At this price, it’s an excellent deal! Please note Yi 360 VR only has a Windows version for their desktop app. There is no Mac version. Thank you for your finds! Very helpful. I love my YI! The videos look great in VR and the reframed videos really impress non 360 users. My only gripe is the lack of leveling. I have to manually level photos and videos if the camera is not level. Still it is a lot of bang for the buck. Denzel, are you using the latest official firmware? With it my videos are stabilized and leveled, it doesn’t matter if you use in-camera stitching at 4k or 5.7k. Just be aware that you can only apply the stabilization (and horizon leveling) with the desktop app, not on the mobile app.